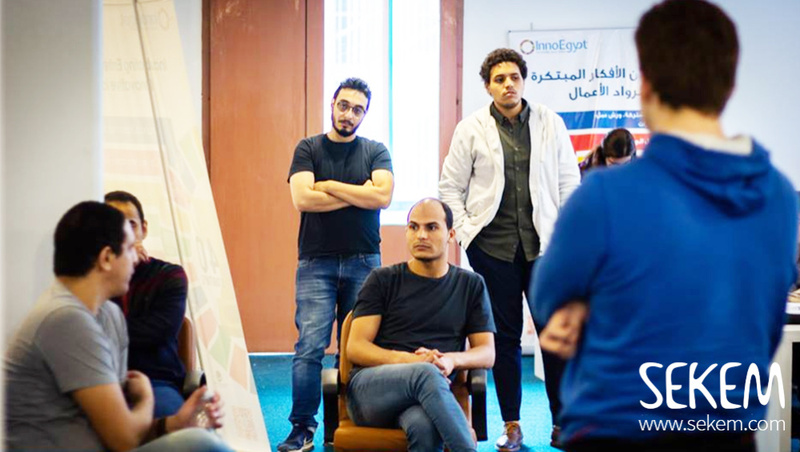 Now the second phase of the EU funded project InnoEgypt begins where 40 out of 150 startups receive full incubation support, including technical, legal and business consultancy, in addition to a seed fund of 250,000 EGP. 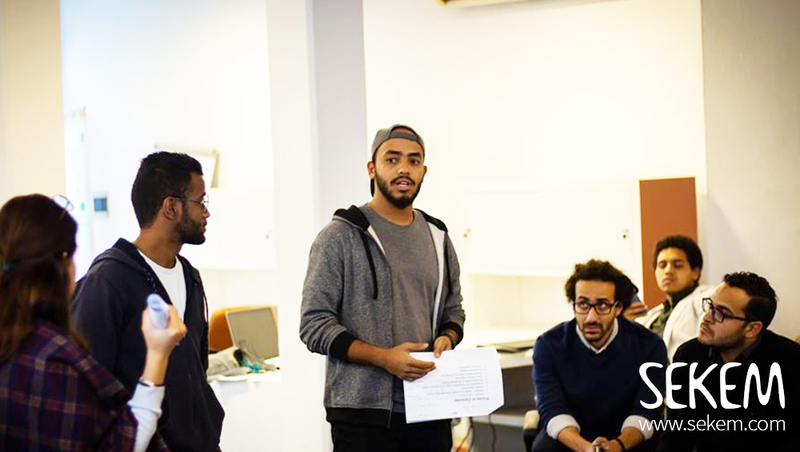 Ten of the 40 young companies will receive their incubation in coordination with SEKEM on the campus of Heliopolis University for Sustainable Development. Four projects in the field of Textiles and Handcrafts and six projects in the field of Agro-Food and Energy will start working in the shared space at Heliopolis University campus. A young entrepreneur presenting his innovative business model “Your Shoe”. Desalinating sea water using clean energy resources, manufacturing and recycling fish and poultry feed, and protecting a city’s cultural heritage by distributing handcrafted carpets are a few examples of what those innovative projects and companies aspire to achieve. The project is an EU-Egypt partnership for fostering social entrepreneurship and innovation in the sectors of Agro-Food, Construction and Energy, Information and Communication Technology, and Textile and Handcrafts, aiming to support innovative thinkers and entrepreneurs, which will then contribute to a sustainable and successful economy in Egypt. 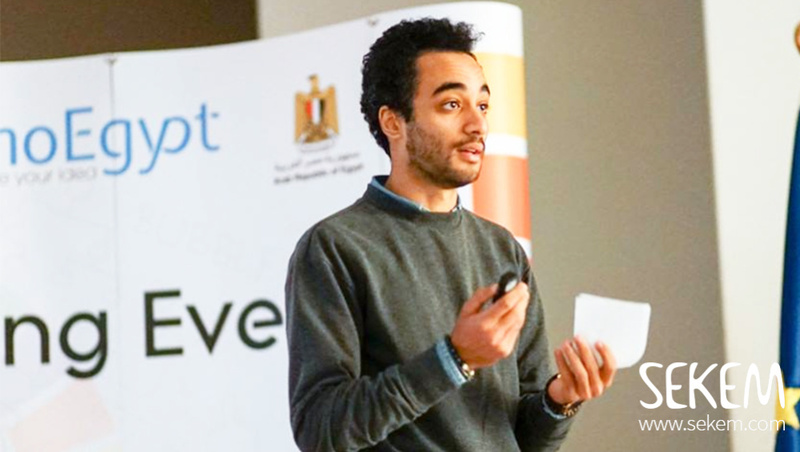 Being part of InnoEgypt offers great opportunities to the start-up owners. 150 contestants attended the Boot-Camp for the capacity building phase, received workshops and training in Finance, Marketing, Strategic Management and Pitching and Communication Skills leading to the pitching phase where the top 40 participants have been chosen. Although only 40 projects have made it to the second phase, all 150 participants have benefited from the capacity building phase and came a step closer to bringing their projects to life.